Superintendent Barclay Trimble announced today that National Park Service (NPS) contract crew, Team Henry Enterprise, LLC, has completed repair work on the NPS Ocracoke pier and docks in Silver Lake, damaged during Hurricane Sandy, and the area is open for use to the general public. The area has been refurbished and includes construction of two finger piers, the main pier, and the overnight mooring spaces. 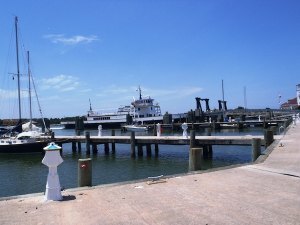 The work includes replacement of the potable waterline and fixtures, upgrade and replacement of the electrical pedestals, removal of old wooden walkway and replacement with new aluminum decking, installation of ladders and life-rings with brackets, the installation of a new service location for the electrical power to the pier, and new mooring cleats. 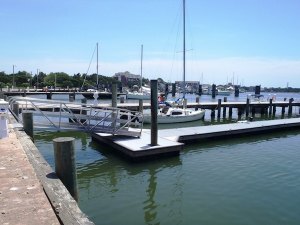 In addition, the Ocracoke Soundside Boat Ramp project has been completed and is open for use to the general public. For more information, call 252-473-2111.